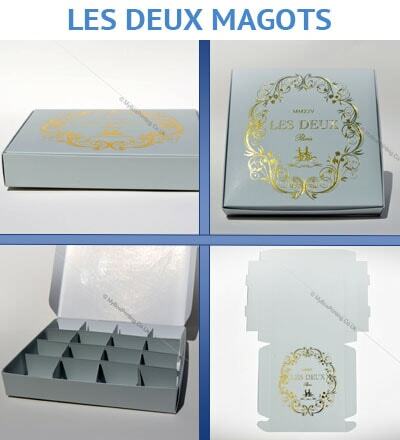 Our selection of finest quality of packaging materials (Cardboards, plastics, paper or aluminium) for personalised chocolates, sweets, toffees, candies packaging or wedding favours made us superior among other suppliers in Europe. Our boxes are of highest grade of cardboards along with true colours in printing. Grow your brand or marketing campaigns with the help of our advertisement packaging or chocolate boxes with your brand name, logo, graphics and message. What do you need to place an order? All we need is a call or an email with your graphics, dimensions and delivery date. We will ask you for lamination type, quantity and material, so within a day, we can send you Free design proof. Once finalized, you can place order by transferring payment to Bank account, depositing cash into bank account, PayPal or cheque. Small companies and other suppliers are very happy in having orders processed by us. 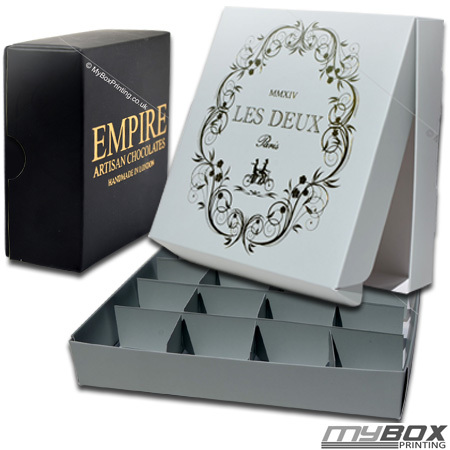 We not only supply custom chocolate packaging boxes to wholesale companies, but we also provide best prices to marketing and advertisement agencies for their advertisement campaign of chocolate boxes in UK and other EU countries. Call us or Email us now for immediate quotation. Superb quality | We just received elegant matt finish custom printed chocolate boxes with out logo, product images and messages. These flat boxes comes up in nice packaging and fast shipping. I highly recommend their cardboard boxes and printing standards. 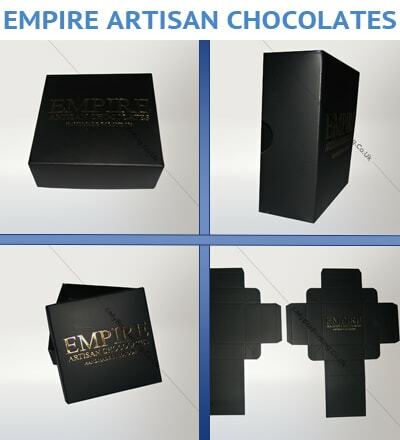 We get free Spot UV printing package on our chocolate boxes.